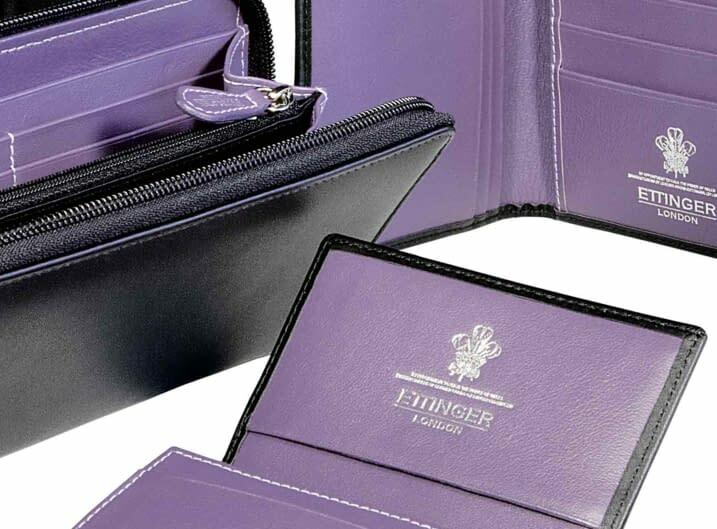 Starting in 1934, Ettinger's story evokes the golden age of British sartorial elegance, the early glamour of international business travel and the rise and prominence of this entrepreneurial family in the British luxury leathergoods industry. 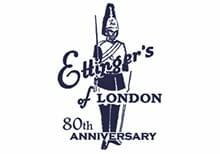 Gerry Ettinger founded Ettinger in 1934. 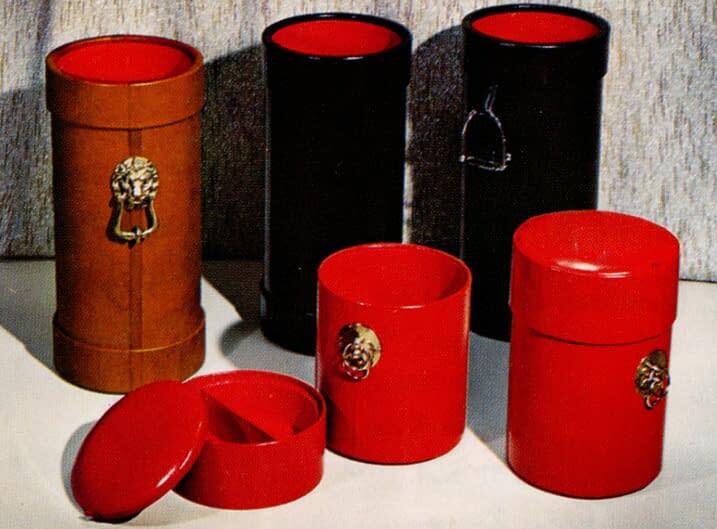 Having worked as a film producer in Italy and Germany (where he worked with Marlene Dietrich), he used his extensive contacts in continental Europe and England to create a range of luxury gifts, which became renowned throughout the UK for quality and innovation. 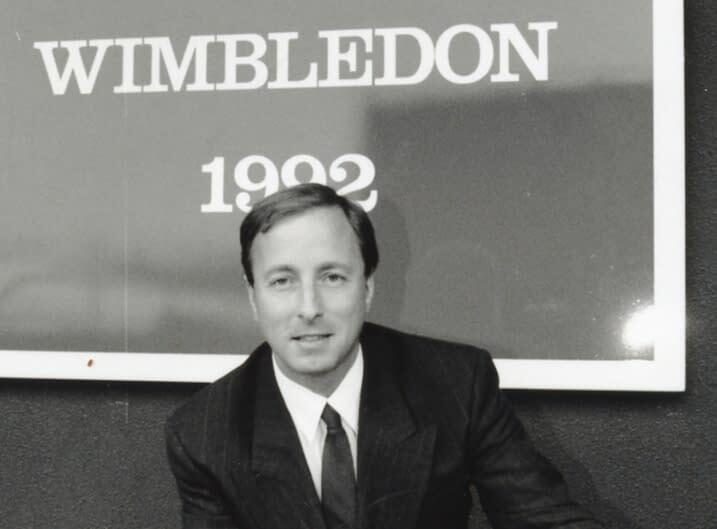 As the master of five languages Gerry Ettinger was known for his international outlook and ability to do cross border deals at a time when international travel was still considered exotic. 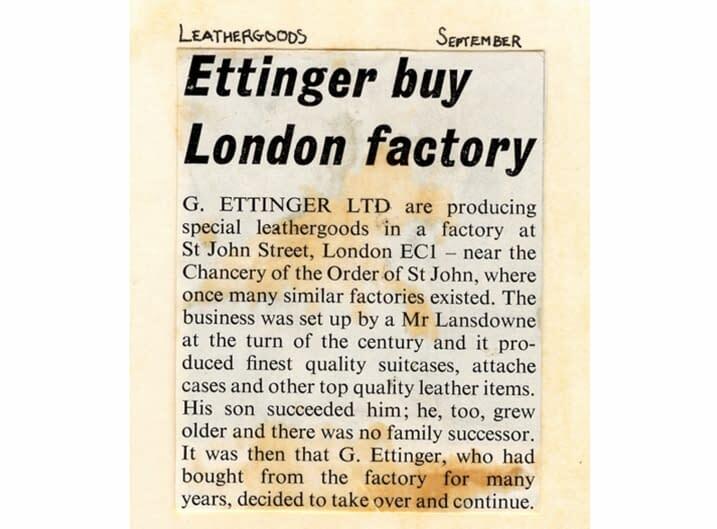 In the 1950's he acquired a small leather goods manufacturing business, which had been making leather goods in London since the 19th Century, and he used this foundation of craftsmanship and design to build the business which is Ettinger today. 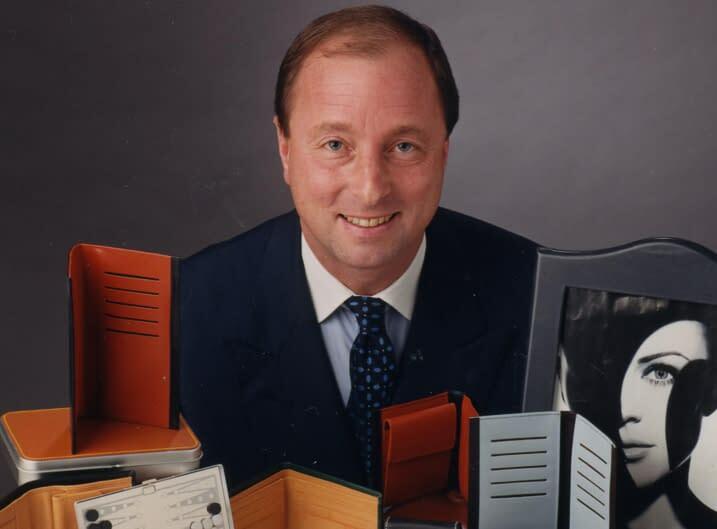 Gerry Ettinger continued to work in the business until well into his 80's and saw the transformation of the company into one of the most respected leather goods designers and manufacturers in the UK. 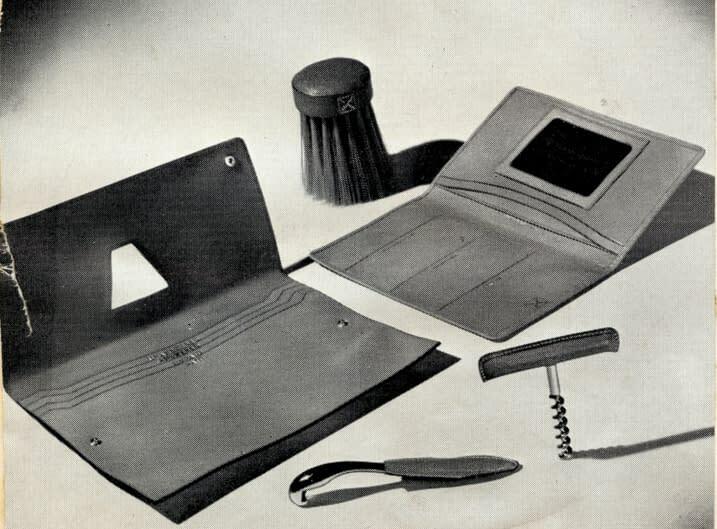 1975, the Saddle Hide Collection is launched. and developed the business in Asia, South Africa, Australia, and the US. All these regions have become very important to the Ettinger brand. 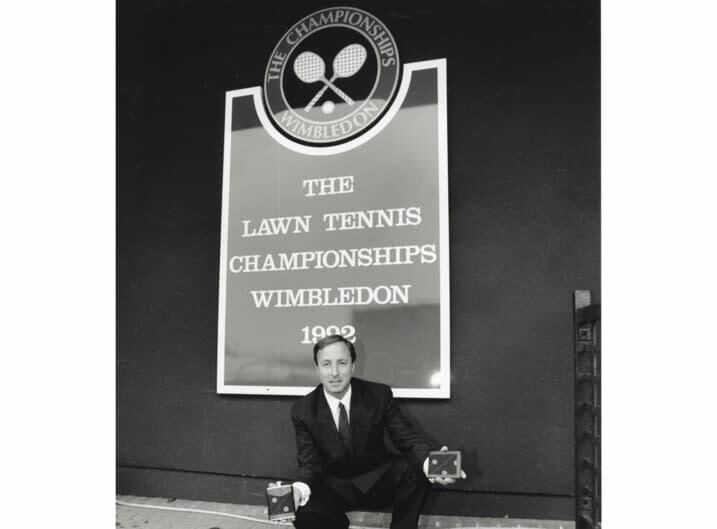 Our collaboration with the Wimbledon Championships has gone from strength to strength since Ettinger obtained the prestigious Wimbledon Licence for various accessories in 1992. 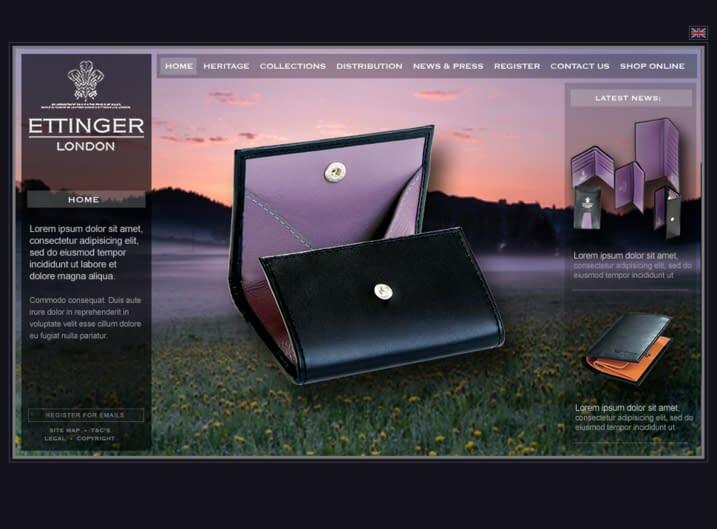 "By Appointment to HRH The Prince of Wales , Manufacturers of Leather Goods, G Ettinger Ltd London". 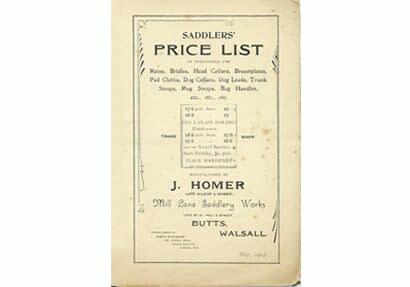 In July 1999, Ettinger acquired one of Walsall's oldest leather goods manufacturing companies, James Homer Ltd (established in 1890). This acquisition breathed new life into one of the oldest and last surviving English leather goods manufacturers in Walsall. Homer is now at the heart of Ettinger's hand-made manufacturing process and is home to some of the most skilled leather craftsmen in the UK. At the turn of the century, Ettinger shows its vision of the future and designs outstanding new collections. 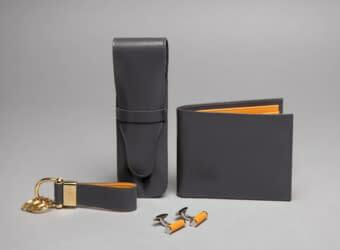 The brand gains considerable awareness, without compromising on the family spirit and the quality of the craftsmanship. 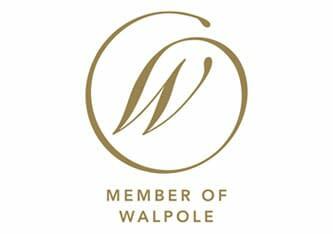 Further brand recognition was achieved when Ettinger was admitted by its peers into Walpole British Luxury , the British luxury brands organisation. 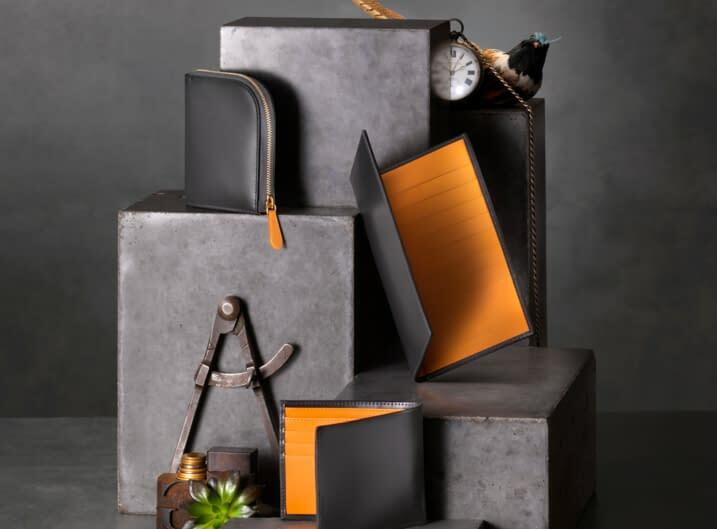 The Lifestyle Collection is launched, encompassing a vast array of elegant and practical items with clean, simple lines, which are ideal as gifts or for personal use. 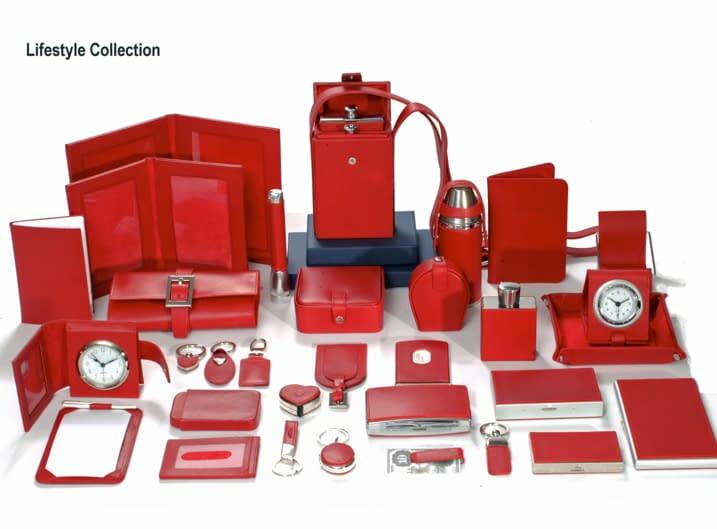 The outstanding craftsmanship and timeless beauty of this collection have great appeal indeed. 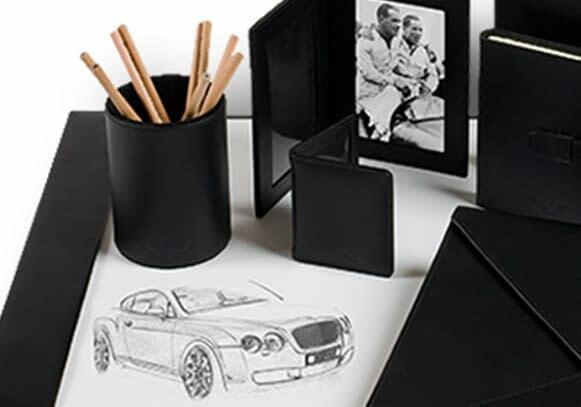 A fantastic collaboration with Bentley puts a whole new collection on the road. The London showroom, in Ettinger's Putney Head Office, sets a new standard for the Brand. 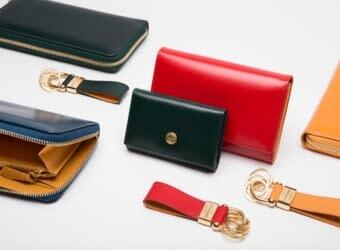 This highly elegant collection is launched, using the finest hand-polished leather available. Launch of the striking Purple Collection . Ettinger launches its first e-tail website in October 2008. 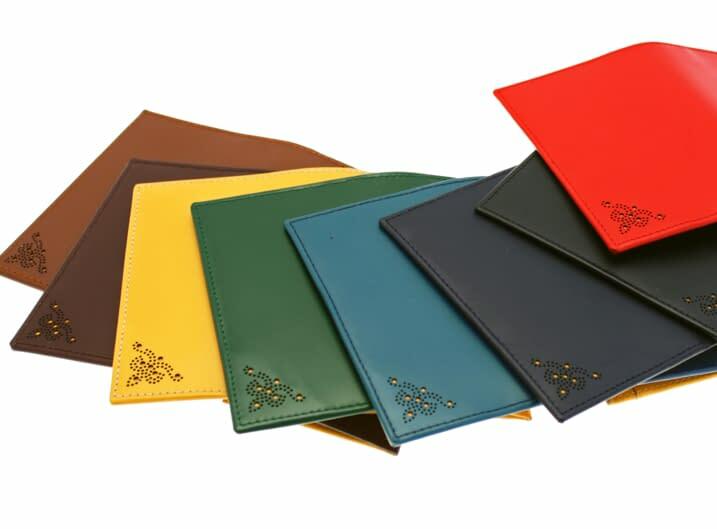 For the first time its unique luxury leather goods are made available to customers all over the world, to great acclaim. 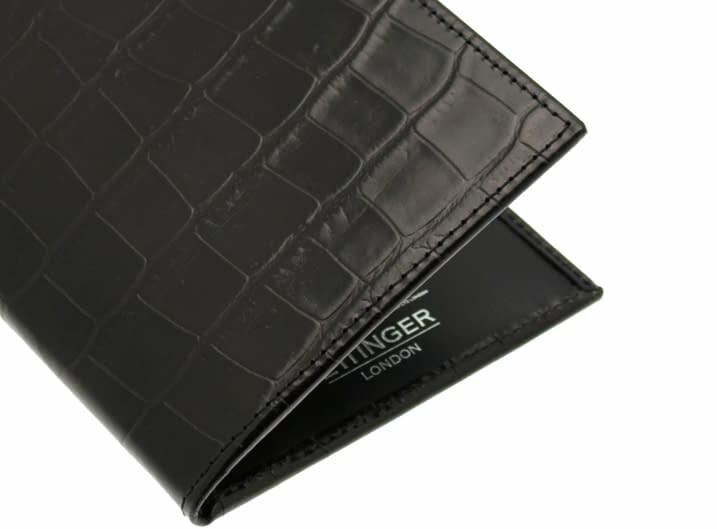 Ettinger launches a line of wallets, inspired by classic men's shoes, with a brogue design laser-cut into the leather. Taking further inspiration from the male wardrobe, the Pinstripe Collection looks at how a man puts some personality into his formal business suit... by choosing a dashing lining. 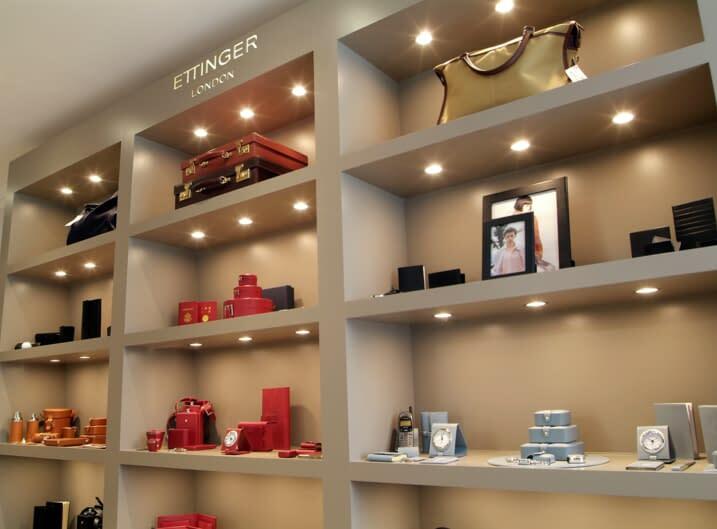 Ettinger opened its first ever shop in October 2010, with its Japanese partner. 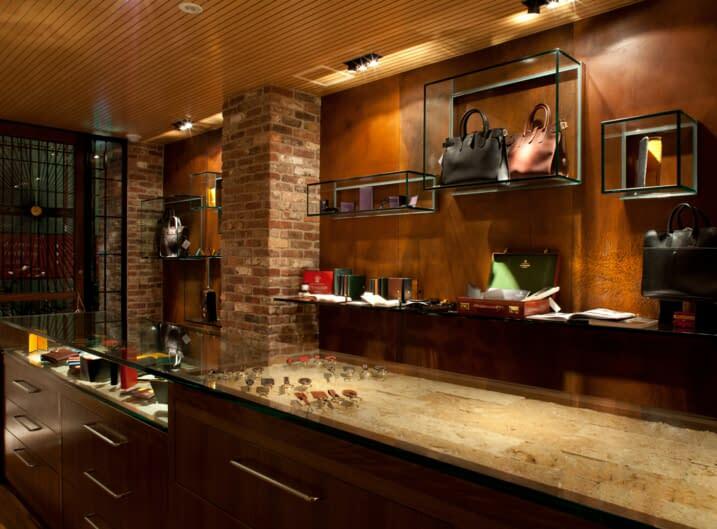 The shop is located in the famous Ginza district of Tokyo and holds some exclusive lines. Please visit the Japanese website here for more details. 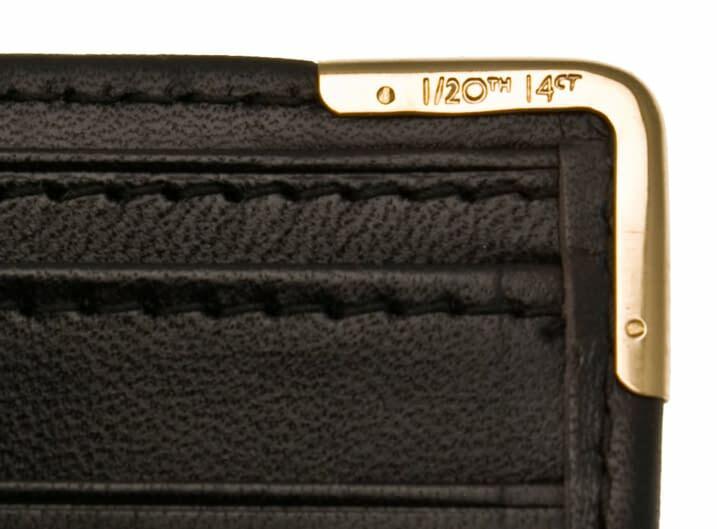 In times of crisis, gold bullion always seems to convey a reassuring sense of durability. 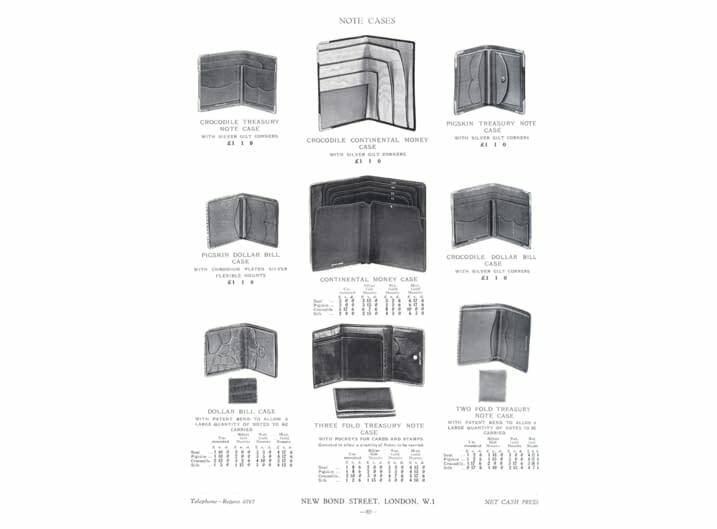 It was in this context that Ettinger revived the traditional technique of hand-riveting gold or silver corners onto fine black calf wallets: the Bullion Collection was born. 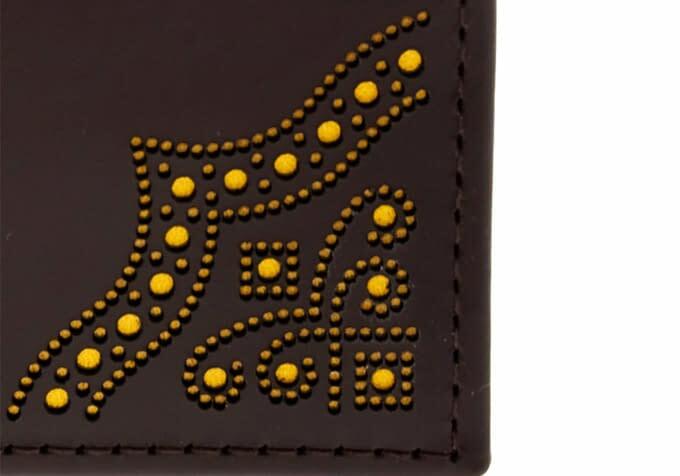 Ettinger's Brogue Collection was re-designed with a fuller, more intricate brogue pattern, which is still laser-cut into the top leather to reveal the bright yellow lining of the wallet. 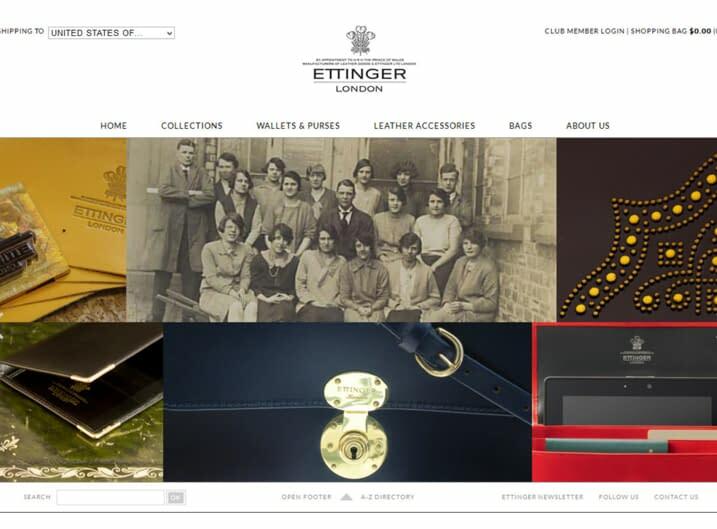 Following the success of its first e-commerce website, Ettinger took its web experience to a completely new level by incorporating a more flexible content structure and offering even more purchasing options, including personalisation, multiple currencies and gift vouchers. The customer experience has also been enhanced through the better use of technology, like parcel tracking and tablet-friendly browsing. 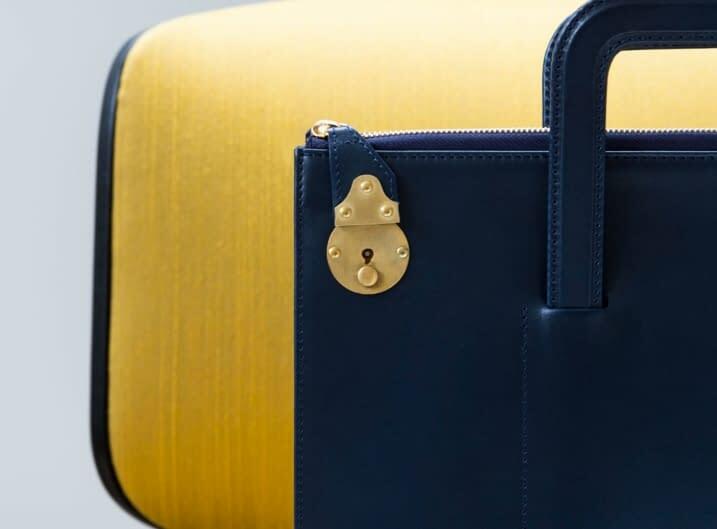 To commemorate 150 years since the opening of the London Underground, Ettinger created The Metropolitan Collection of bags to reflect the contemporary tastes of the modern city traveller. 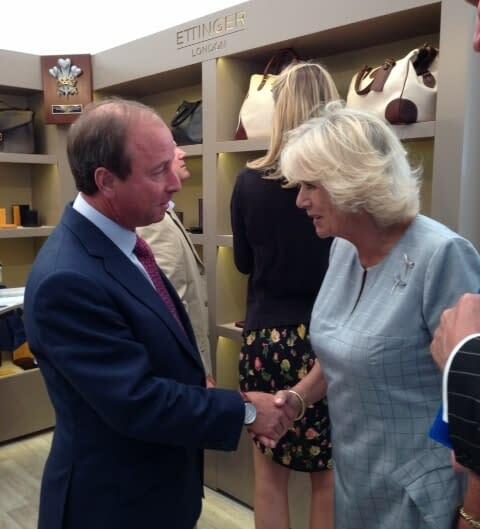 In July 2013, Ettinger celebrated the 60th anniversary of the Queen’s Coronation by joining over 200 Royal Warrant Holders brought together by the Royal Warrant Holders Association to exhibit in Buckingham Palace Gardens. 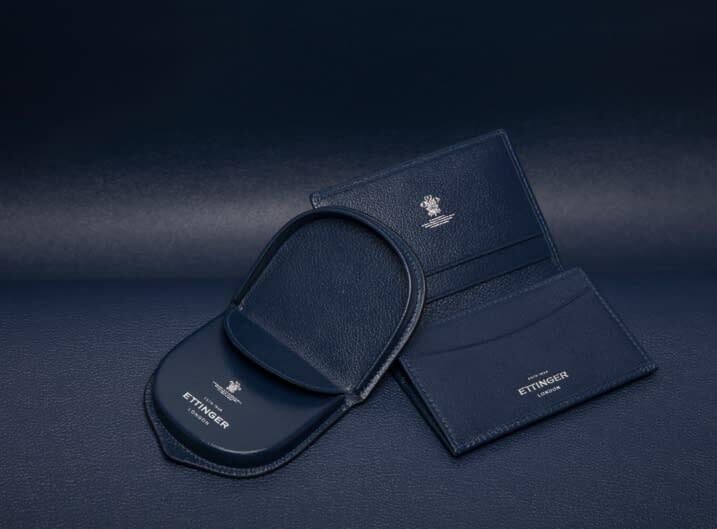 To coincide with the celebrations, Ettinger launched the limited edition Coronation Festival Capsule Collection , comprising four classic commemorative products, each carefully selected to demonstrate the wide ranging skills of the Ettinger craftsmen and women. 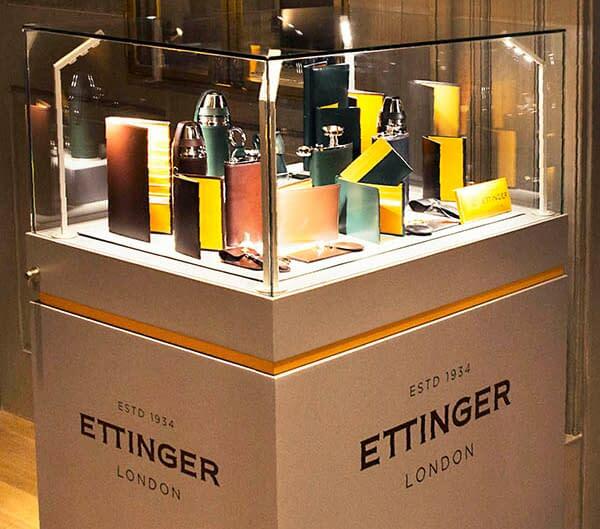 Ettinger celebrated its 80th anniversary in 2014 with major commemorations in Japan, including some limited edition products. 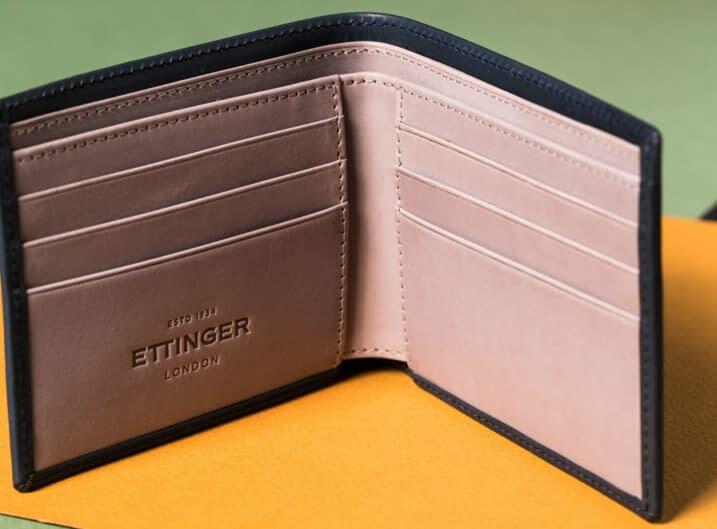 Maintaining the same level of craftsmanship and ensuring continuity in style, with ever the eye for detail and distinctive personality, Ettinger has established its reputation over the years as one of the best British leather goods manufacturers, of which very few are left. 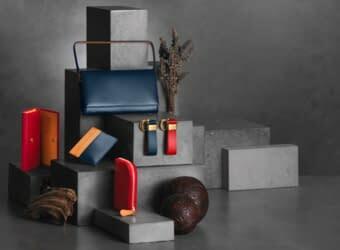 Dreamlike and highly distinctive, the Saint Crispin collection demonstrates perfectly how emotions can be conveyed through the finest leather, carefully tanned in such a way as to preserve the natural beauty and character of the leather and expertly crafted into objects of refined elegance. The patron saint of leather workers and cobblers deserves no less and this collection is our way to celebrate the absolute finest leather craftsmanship. A new logo and the 1st Ettinger monogram were launched to reflect the brand’s heritage and give it a stronger identity and personality with the distinctive London Tan colour now taking centre-stage. Soft launched at the end of 2014, the new logo and monogram were rolled out in 2015 across all its products, packaging, stationery and communications. 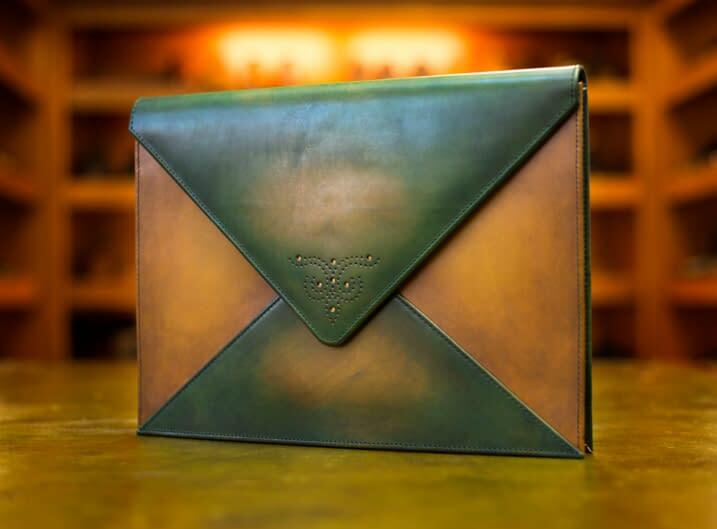 The British Government's GREAT Britain campaign asked us to make a unique leather masterpiece to showcase the excellence in British leather craftsmanship. 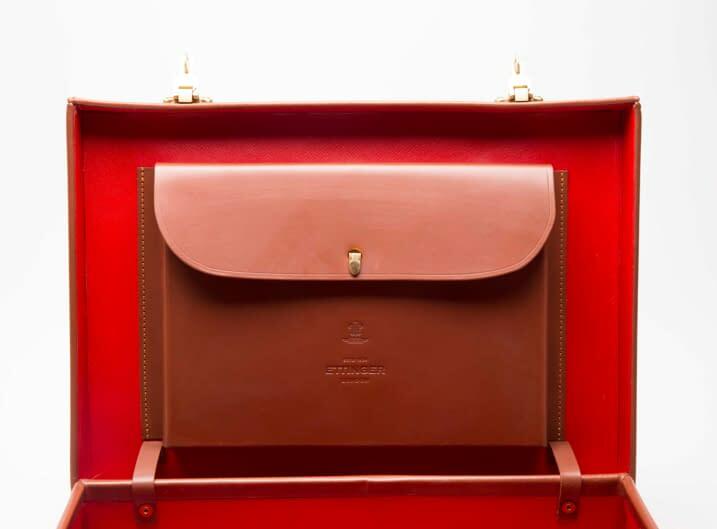 We chose to collaborate with bespoke shoemakers Gaziano & Girling, with whom we made a one-of-a-kind portfolio featuring elements specific to their shoemaking and our small leather goods making traditions. Ettinger launches it's third e-commerce website. Creating a design forward, mobile first approach has been paramount to the build of this new site. 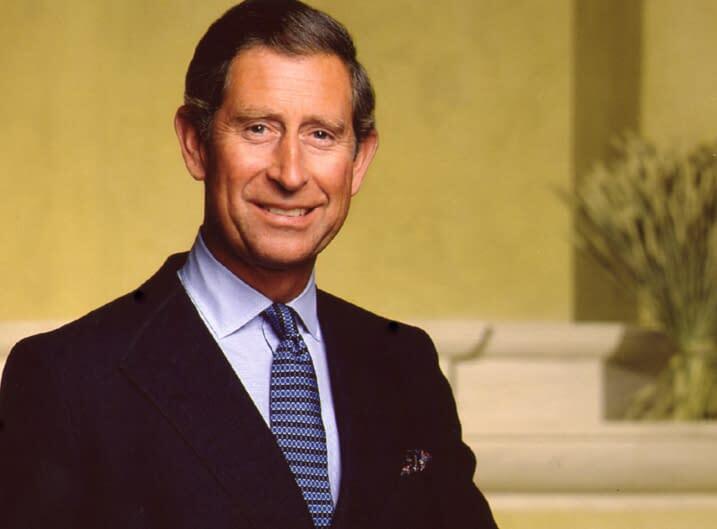 We celebrate 20 years of holding a Royal Warrant to HRH The Prince of Wales. 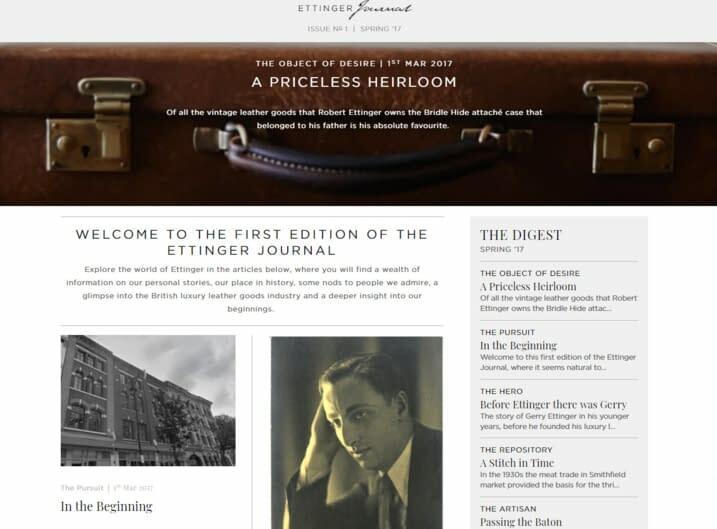 In spring 2017 we launched the first edition of the Ettinger Journal. 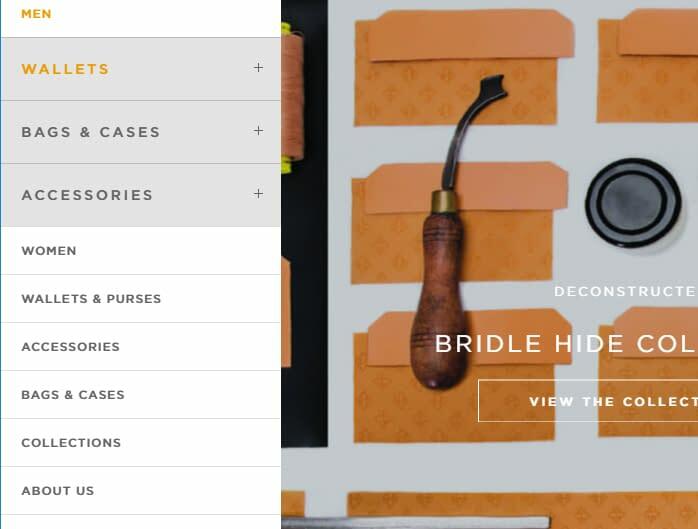 The Journal aims to offer more than just products to our customers and followers. We speak to the leaders of the British luxury world, stylists working with Hollywood actors, look back at what Ettinger has achieved and keep our eyes out for any fun and stylish stories our audience may enjoy. 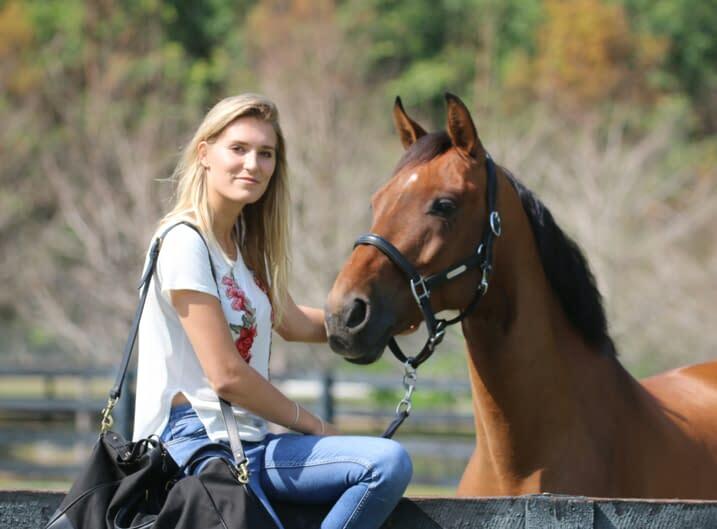 In Spring 2017 we had the pleasure of announcing our first global brand ambassador - Jessica Mendoza, the leading British show jumper. Jessica is one of the youngest riders ever to represent Great Britain at senior international level. She attended the Rio Olympics as the travelling rserve and now has her sights firmly set on the 2020 Tokyo Olympics. In Autumn 2017 we launched the newest and ninth colour of our Bridle Hide Collection - the Ettinger Grey. The new grey is contemporary, yet classic, complementing the signature London Tan interior. 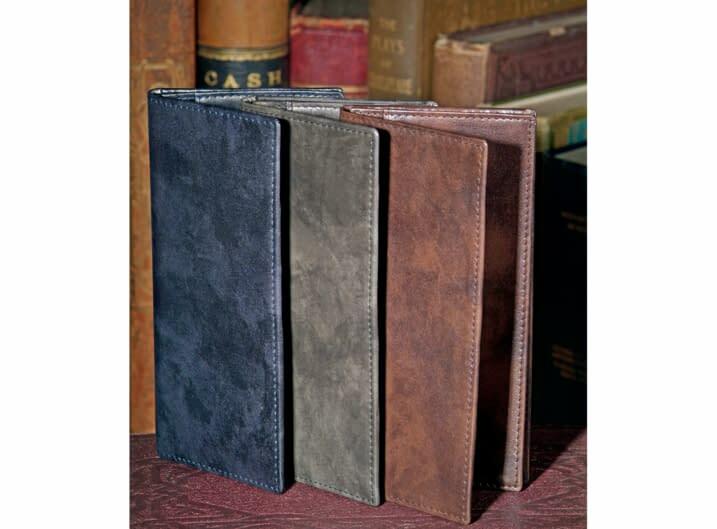 In Spring we launched our Bridle Hide Portfolios in two sizes. 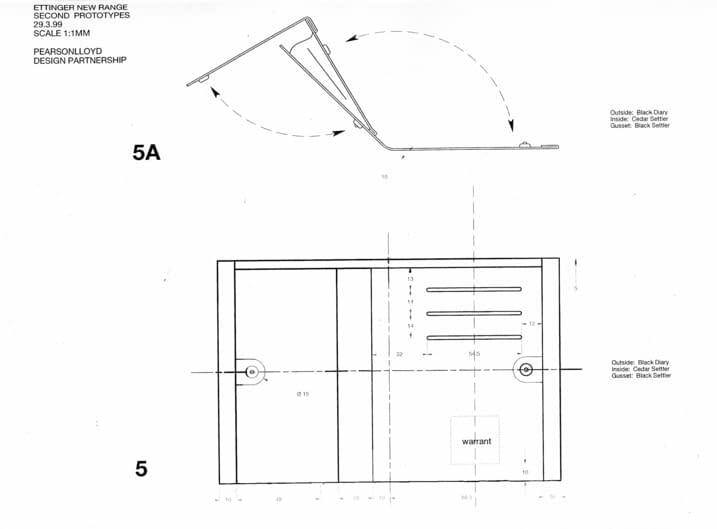 These were inspired in co-operation with Echlin the London-based architectural design and development studio. 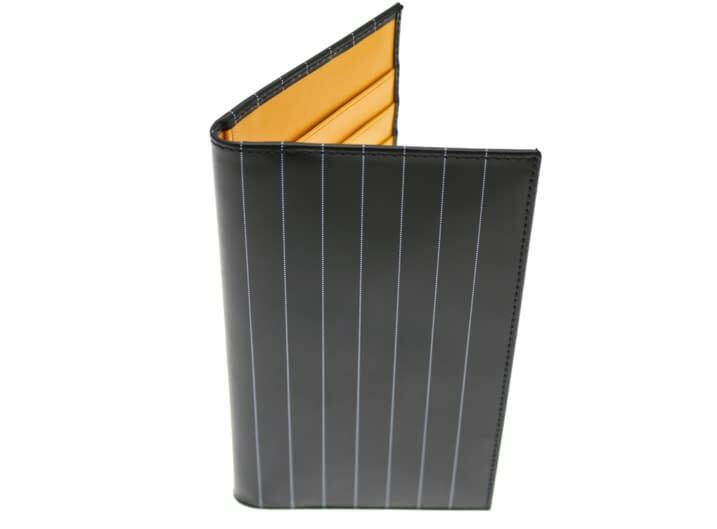 The minimalist design means that even the larger sized portfolio weighs just over 500 grams. 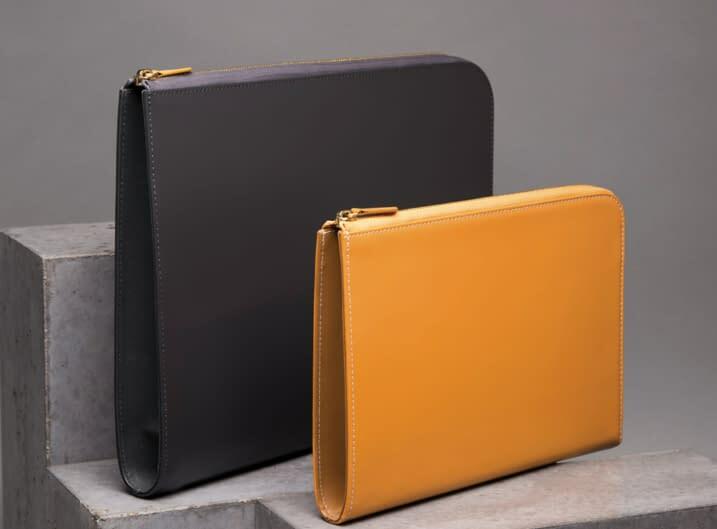 The Medium Zip Pouch is perfect for an iPad and A5 notebook, while the Large Zip Portfolio is ideal for a laptop and an A4 notebook. In Spring we launched our most practical and colourful collection - Spectrum. 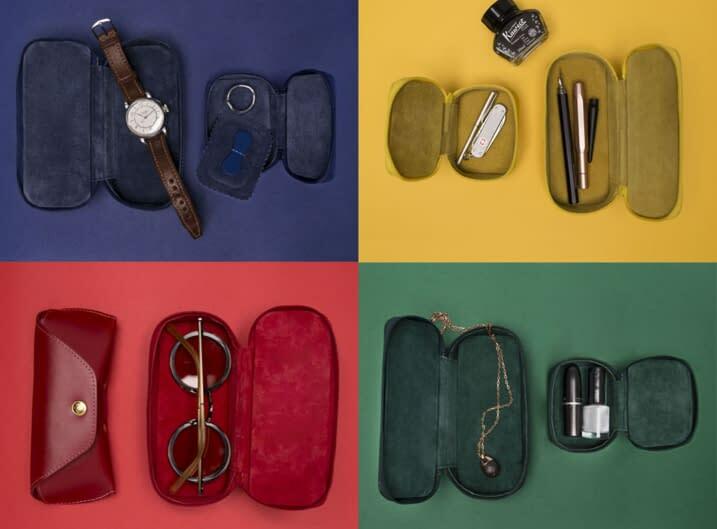 This collection includes travel boxes, glasses cases and pill boxes in bright and bold coloured calf and suede leathers. In Autumn 2018 we launched our heritage inspired Capra Collection. 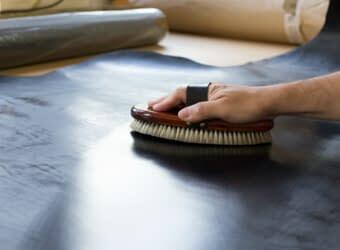 I visited the same tannery in France where my father, Gerry, sourced this luxurious goat leather. The Capra Collection combines the best of Ettinger's heritage and tradition with a modern design and colour, thus creating a harmony between the old and new. 2018 saw the first Ettinger retail cabinets pop up in leading retail stores in the UK and Germany. 2018 has seen a great expansion in retail with more stores than ever stocking Ettinger. You can now find us in many of the most regarded stores around the globe.